← #BloggerBlackmail: It’s Not About the Macarons! It’s inevitable that, after a period of time in the blogging world, many will suffer from this at some point. Comparison forms a part of daily life and is a perfectly natural response, despite how unhealthy it can be for one’s self-confidence. While I have made huge strides in developing a life that I am happy with, I’ve lost count of the amount of times I’ve envied a friend’s beautiful house, or how fantastic they look in an item of clothing. I’ve been secretly jealous of someone’s naturally sparkly personality, or a talent that they have, or even how exciting and interesting their lives seem to be. I experience similar feelings in the blogosphere too, more regularly than I would like to admit. My jealousy doesn’t lie in numbers and statistics – I follow blogs that I like and enjoy, regardless of their readership. However, I do find myself feeling envious of the layout and content that I see on other sites. There is one in particular that has, in my opinion, the perfect design. Another consistently shares beautiful images and has a great colour palette. There are a number that produce post after post of sheer perfection, and every time I read them I always covet their skill in being able to craft seemingly endless amounts of brilliance. It’s enough to almost put a blogger off, isn’t it? The key to dealing with blog envy is to focus on you, and, at times, use it to your advantage rather than allowing it to add to your insecurities. 1. Look closely at yourself. Each blogger is unique…. What makes you special? What makes you unique. What do you like reading about? Ultimately, what do you have to offer? A secure understanding of what you want your creative content to be about will mean that you have more of a sense of direction in your posts. 2. Put things into perspective. When was the blog created? 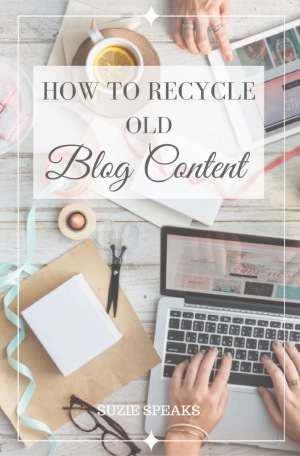 If you’ve only been blogging for a little while, it is ridiculous to compare yourself to a blog that was established years ago! 3. Be proud of your own achievements so far. You’ve been brave enough to start your own little space of the internet and filled it with things that matter to you. You’ve created a community, however big or small. You’ve shared something of yourself with people you’ve never met. I think that takes a lot of courage. 4. Appreciate that others may be looking at your blog and feeling exactly the same way. 5. Be inspired and motivated by what your favourite bloggers are doing. What makes their layout so great? Why does that image appeal to you? What is it about their content that keeps you coming back for more? Of course, blatantly copying someone’s work is never acceptable (and why would you want to? ), but there is nothing wrong with using an idea as a stimulus. I do it all the time – some of my most popular posts have been in response to something I’ve seen on another site – and many others have done the same with my own posts. 6. Use your envy to set yourself goals. What do you want to achieve with your blog? 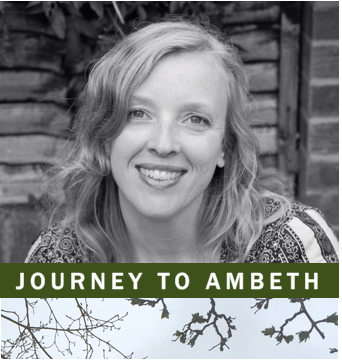 At what point would you deem your blog to be a success? What can you do to reach your goals? 7. Put the work in. Anyone who has a blog will have an understanding of how much time the process takes, but it’s important to recognise that some of the more successful bloggers will put hours, and even days at a time into creating a post, developing their layout and promoting it. If your envies lie in the large readership a blog has, look at what they do to gain such a following. Want to increase your traffic? 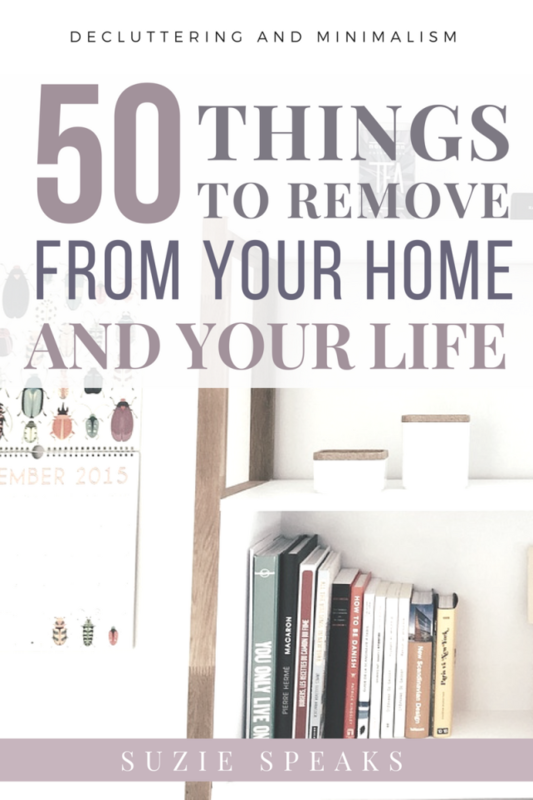 Check out this post – you may find some useful hints and tips. 8. Get over it, or stop reading. Enjoy another blog and appreciate it in all it’s fabulousness, but if it is making you belittle your own work and hamper the blogging process, stop reading it for a while until you feel a little more secure in yourself. Focus your energies on you. What do you guys think? 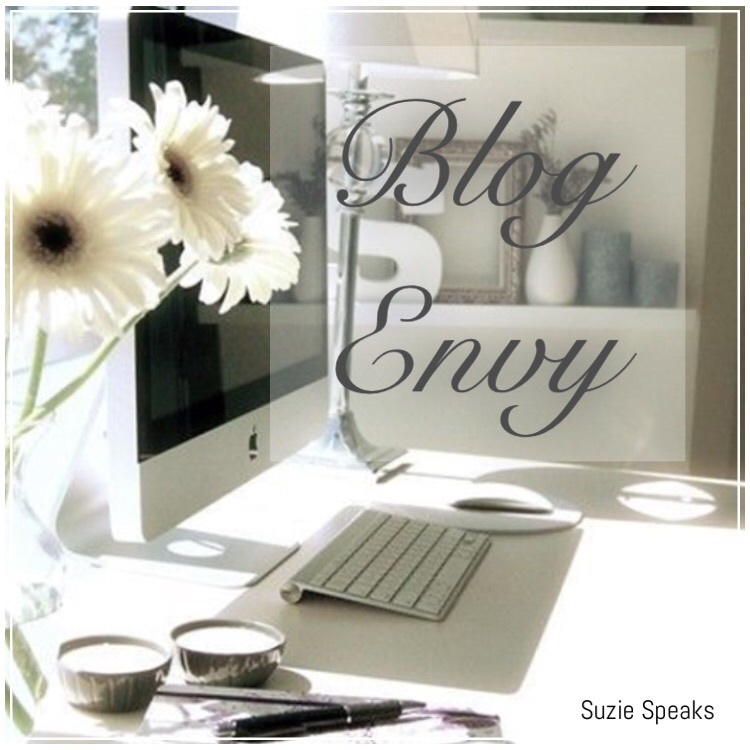 Do you suffer from blog envy? How do you deal with it? You always put things so eloqently Sacha, and i couldn’t agree more! It’s difficult not to get sucked in, but it’s a great motivation to want to get out there and push yourself to do better! Please forgive my late reply Sacha! Oooh that’s so exciting! I can’t believe it was a month ago already – I’m definitely in for the next one!! Totally agree, Suzie. Someone once said to me that I should use other blogs for inspiration rather than imitation, and that has always stuck with me. I love reading other people’s blogs, and often the ones I’m most in awe of aren’t ‘big’ ones but ones written by passionate people who are comfortable in their own voice and have interesting stories to tell. I find the whole stats side of things interesting – I’m a geek at heart – but I’ve never found that they’ve influenced what I do overly. It’s interesting to know what sort of post does well, but I don’t think I’ve ever sat down and thought, “Ah, I must write this post because it will be good for traffic.” Equally, I don’t rely on stats as a measure of pride – writing a popular post and writing a good one aren’t always the same thing. I know when I’m writing well and that, on the whole, I’m steadily improving as a writer, and that’s enough for me. I don’t know if it’s only me but I envy comments on other blogs actually 🙂 It feels like no matter how many follows or likes I receive, once I see a comment, I feel I have done a great job and someone has found it worth commenting. 🙂 It feels like I’m writing for myself right now because I appear to have almost no comments, but I guess the imagination of having a lot of comments one day inspires me to go for more! I think comments are the best part of blogging, and even though it shouldn’t have an impact on your blogging endeavours it always feels worthwhile when someone takes the time to comment! However, there are things you can do to encourage people to comment… I have a post if that’s useful? Thanks so much for your lovely words! It’s funny. Sometimes I’ll envy others that always seem to have great ideas and produce original content week after week. But then I’ll take a look back at my own and think, well, that’s not so bad. I try to remember the cute girls from school, who was envied by all the other girls even though deep down, most of them had just as many insecurities and lacked confidence. It’s just human nature. A topic that everyone struggles with. I simply struggle with having the time to do everything I would like to do. I triage what is most important and that is usually my posts. I slowly work on the other items such as changing layouts and updating pages. It’s always nice to know that others feel the same way. Thank you! I find time is a big issue too, although I’m on holiday at the minute so Ive been able to catch up a little, but when I’m at work it’s almost impossible to do anything in as much detail as I want… I think you have the right approach – love the ‘triage’ idea! Thanks Steffany! Sorry to hear you’re feeling rubbish – what is it that has been getting you down? It’s really technical and complicated the more you get into it isn’t it! I’ve been doing this for over two years and still know nothing about SEO! I currently have a draft I’m working on which is quite similar to this but more about blogger envy. I read other people’s blogs and find myself feeling envious of their lifestyles and beating myself up for not being more like them. I do agree however that it’s really hard not to constantly compare yourself to other blogs, whether it’s the people behind them or the blog themselves. But you’re right – it’s not healthy and we should definitely try to work past it! That’s a really interesting idea, and I must admit that I can be guilty of being envious of blogger envy too… However, we only see what they want us to see – I keep telling myself that it isn’t as rosy as it looks! Haha! Now there’s a post in itself! Yours is such a blog, Suzie. I admire your style and content. I knew within seconds of arriving here that you are a leader in your field. Thanks so much David, that’s made my day! The pursuit of perfection is hard in anything. Blogging is no exception to that rule. We are to be the star of our own blog as we are in life. As we post about the stuff that makes us tick we have a chance to connect with our hearts and minds as well as the people across the blogosphere. I agree its best to be inspired but duplicating is difficult. Absolutely love this, thanks Tony! I totally agree – I have been really surprised by just how competitive the blogging world is – it can be quite amusing at times! Ugh, blog envy. I’m always so jealous of blogs with large followships and of the gals (and guys!) who can actually make a living out of blogging! But then I post something I’m really proud of – something I either worked hard on for weeks or that came to me in a flash in the shower, and when I hit “publish” I know I’ve done something great. Something that almost feels better than seeing a huge number of followers. To Thine Own Self Be True. Stay true to what you love about writing and the rest doesn’t matter as much! Great post! Love your philosophy! The numbers don’t matter, honestly – it’s all about putting yourself out there and feeling good doing it! I completely agree, it can sometimes be difficult to see others blogs and compare but I’m trying not to. Interestingly in a conversation with a blogger I hadn’t encountered before she told me how she loved my blog and regularly visited and hoped she could find her happy place on her blog which is what she felt whenever she read mine. It’s a lovely thing but completely unexpected it just shows you never know what others are thinking about your blog so just keep on going! Absolutely! It’s amazing in the comments Ive had to see how many of us feel the same way and suffer from it. You’re right, it’s just important to keep going! I don’t suffer from blog envy often, Suzie, but when I do, I make it count. I think I just envied violently all over your blog. You’ll see that I spewed a big pile of likes all over it, and it never even saw me coming. I hope it isn’t disgusted. But thanks for some great reading material! Thanks so much Tara for the lovely compliments, I’m honoured! Welcome! 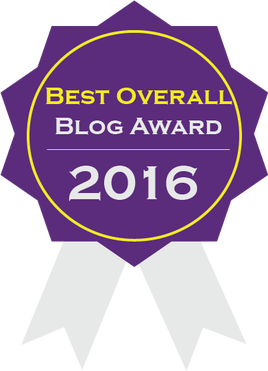 It is so difficult to not have blog envy! We are all in such a perfect place of envy temptation! Desiring to blog well, learning from others, and the fact that once in the world, we see blogs (many) every single day! I’m pretty new to all of this and have had the envy creep in often. I’m in the process of figuring out a new design done by a professional this time, so it keeps me examining LOTS of others. I just keep reminding myself that ultimately I blog to bring hope and encouragement to others. If I am obedient to God’s call, I’ve just GOT to believe He will touch the hearts that need it no matter where I am in my pursuit of blogging 🙂 Thanks so much for a great post! I’m so glad I found you on #Sharefest! Hi Lori! Thanks so much for your comment. I love the process of building up the blog and meeting new people, but it’s difficult not to make comparisons! I don’t have a faith, but I appreciate that everyone has a right to believe what they want. Have a lovely day! Thanks for stopping by my blog. Love your thoughts. You’re very welcome Dan! Thank you for stopping by over here!